This is bittersweet news indeed: we learned today that the Seattle P-I will run its last print edition tomorrow. Although the online version will continue (including CakeSpy Seattle, to the best of our knowledge), we will certainly miss the tactile enjoyment of unfolding a paper along with breakfast coffee (and cake, natch). 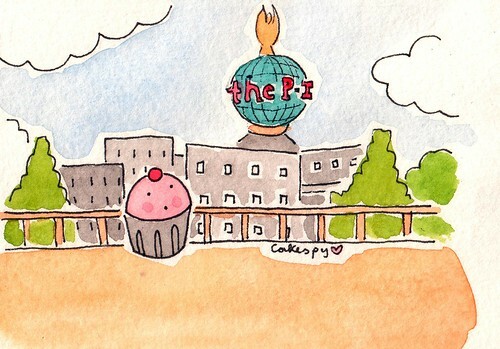 The P-I has been so supportive of CakeSpy since the start, having featured our artwork and quotes from our Spies on numerous occasions; rest assured, dear paper, you will be missed! For sweet Seattle musings, visit CakeSpy Seattle.